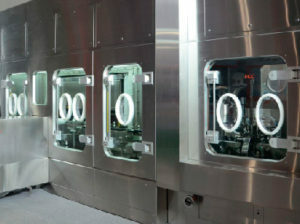 We manufacture and distribute a wide range of special equipment for critical areas, disinfection systems, decontamination, pass box systems and customised equipment. • Supply of equipment for sterile production from represented brands. – Bio waste equipment for decontaminating effluents in biologically contaminated liquids. 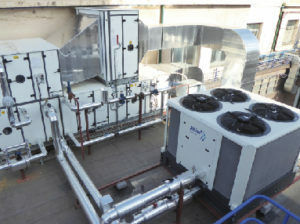 – Industrial and laboratory freeze dryers. – Water distillers (WFI), pure steam generators (PS), CIP & SIP, purified water (PW). – Filling of vials/ampoules/flasks/pre-filled syringes. Sterilising tunnels. Vials/ampoules washers. Labellers. – GMP and laboratory autoclaves. 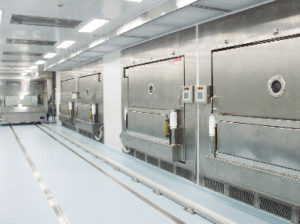 Class 100 depyrogenated ovens. GMP washers. 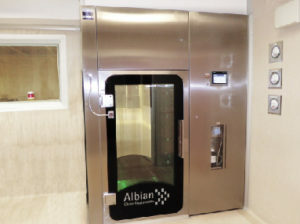 – Automatic ampoules and vials inspection machines.